In the early days of online casino gaming, there were only a couple of different ways to successfully fund your account in order to start your game play. This tended to circulate around credit or debit cards, or alternatively, bank transfers. However, as time went by, there became an increased demand for methods that didn’t take too long to process through (like the bank transfers) or methods that didn’t leave players’ card details open to possible theft. Of course, eWallets were brought in in the form of such companies as Neteller and Skrill, but these particular payment methods also require funding in some way before the casino account itself can be funded. Gamers wanted something that wasn’t so tied to credit or debit cards. Make way for the Paysafecard phenomenon. 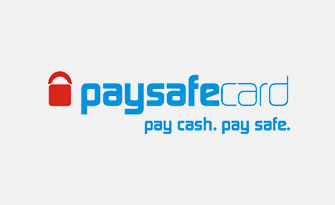 Paysafecard was launched back in 2000, when four Austrians developed “cash for the internet” and launched it to both their home country, and to neighbouring Germany the following year. In its original state, it was only available to buy from sales outlets as a physical card, and came with its own 16-digit pin. It would be in 2002 that the card was developed into an e-voucher as well, and 2004 saw the payment method also be made available to purchase online. The company has since grown to be utilised the world over, with 2006 seeing the item being launched in Greece, Slovenia, Spain, Slovakia and the UK before spreading even further afield in 2008. These are not only used to fund online casino accounts, of course, but they are also able to be used to pay for goods or services at many other online locations.